Every body has the right to find their “movement”. That way of moving that makes you feel empowered, strong, passionate, graceful, less awkward, less invisible and more YOU. Sometimes it takes work to find it. But once found, you will continue to move in a healthy space because your body will connect with your mind, your passion, your very center… and that, in my opinion, is where the freedom to feel fit begins. My “movement” is dance, moving heavy stuff around and “butts & guts” core strength work. I have been teaching Barre for 7+ years and strength/circuit workouts for 5. 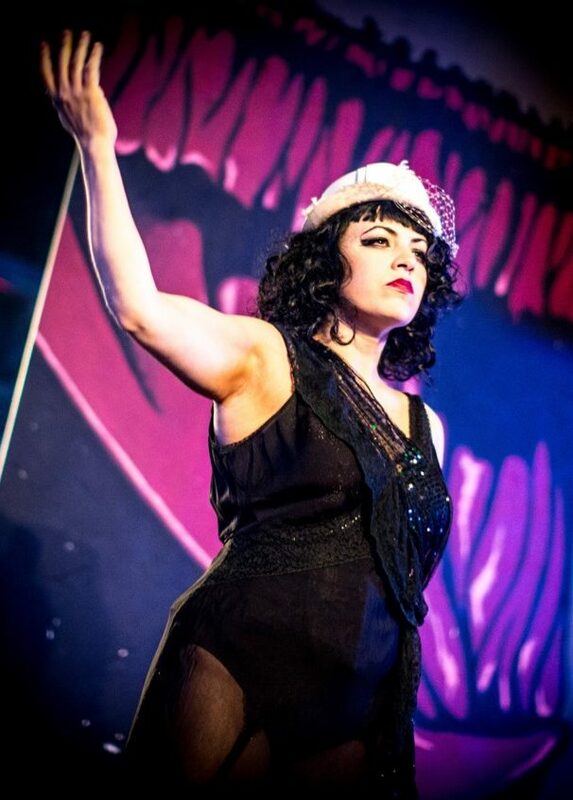 In addition, I have been teaching, choreographing, performing and producing Theater & Burlesque for 10+ years. Naturally, my classes combine all of these things as my body loves to shimmy, roll, grind, bump, tell stories and create wonderfully interesting shapes in class & onstage. I love seeing those same isolations & shapes inspire my students to find their own patterns of movement. Monthly class and private coaching.